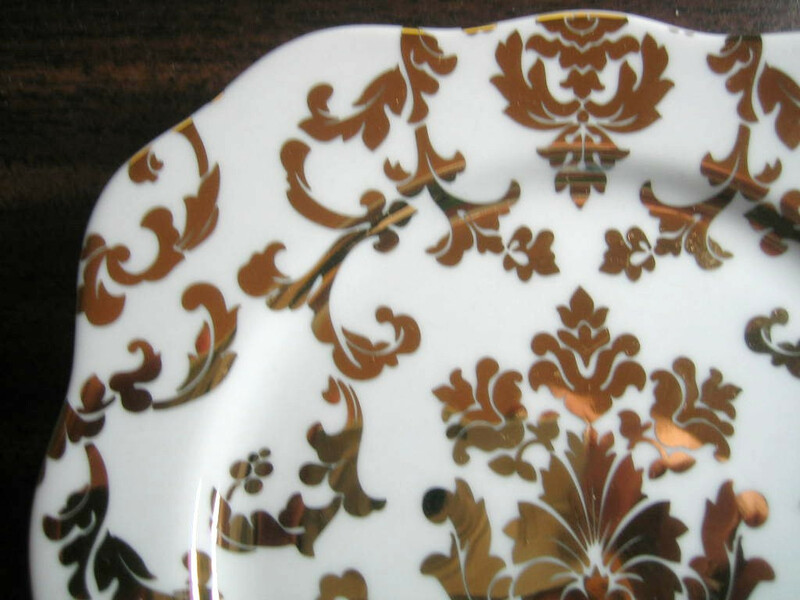 Click the button below to add the Shiny Gold on White Damask Exotic Wallpaper Scroll Small Square Plate B to your wish list. 6 ". 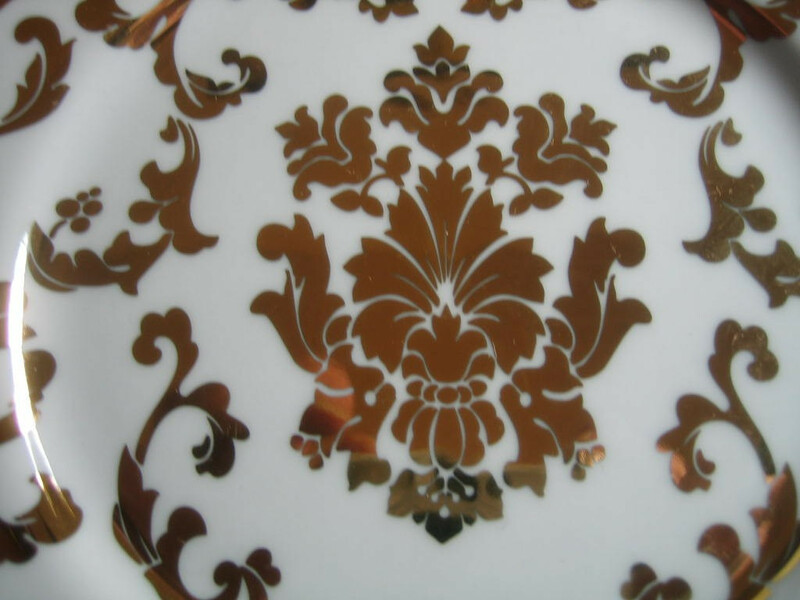 Gorgeous shiny gold on white Damask motif. Very hard to find--retired. Wonderful for appetizers and decor. Very chic.